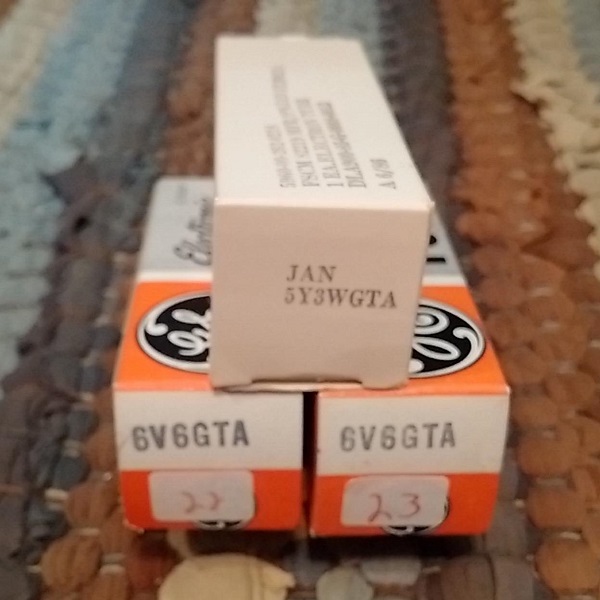 These USA made GE 6V6GTA Matched Pair outputs tubes are unused surplus stock, new-old-stock (NOS) output tubes. The GE 6V6GTA is a high quality matched pair of output tubes that is preferred for guitar amps and high end audio. They are commonly used in Fender® Deluxe and Prinecton amps. JAN 5Y3WGTA Rectifier tube sold separately. Inquire about purchasing the complete set of three NOS tubes shown. Back to Texas Tone Tubes.